Screw sizes are written in an alphanumeric code that can be difficult to decipher if you're not familiar with the system. 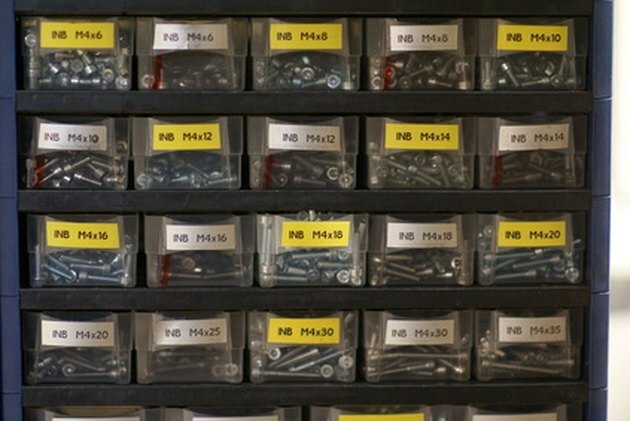 Sequences like "4-30 x .10," "1/8-10 x 4/6" and "M5-.4 x 15" may seem meaningless, but they say a lot, and you need the right screw to do the job. 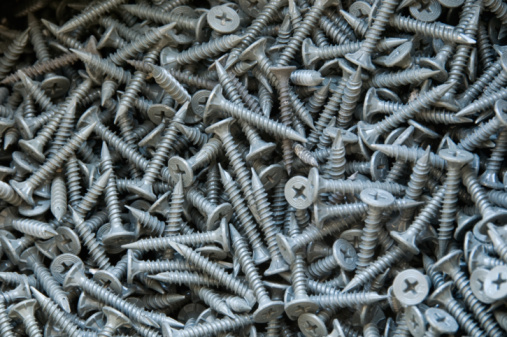 Purchasing or using the wrong type of screw can lead to wasted effort, time, expenses or a failed project. Screw sizes are written in an odd looking code. Read the first letter of the size. This the largest diameter: the measurement of the screw on the thread. Unified screw diameters are measured in inches -- lowest to highest as 0 to 10. Measurements equal 0.060" + 0.013" x measured diameter. For example: 4-30 x .10 has a major diameter of 0.112". This is because 0.060 + (4 x 0.013) = 0.112. Screws larger than 10 are listed as fractions of an inch. For example: 1/8-10 x 4/6 has a major diameter of 1/8th of an inch. Metric threads use "M" to denote the measurement in millimeters. For example: M5-.4 x 15 has a major diameter of 5 millimeters. Read the second number. This is either the number of threads per unit of the distance between threads; also known as the "thread pitch". Unified screws give the threads per inch. For example: 4-30 x .10 has 30 threads per inch. Metric threads display the millimeters per thread. For example: M5-.4 x 15 has a thread every .4 millimeters. Read the third number, generally the one following the "x." This is the length of the screw. With the exception of flathead screws, which are meant to sit flush with the surface, these are measured to the bottom of the head. Unified screws provide length in inches. For example: 1/8-10 x 4/6 has a length of 4/6ths of an inch. Metric screws show the length in millimeters. For example: M5-.4 x 15 has a length of 15 millimeters.